Current and 2011 Solo Champion Michael Dunlop hopes to retain his prestigious title for a third time in a row and emulate his Uncle Joey who achieved so far, the only ‘treble’ in 1976, 1977 and 1978. 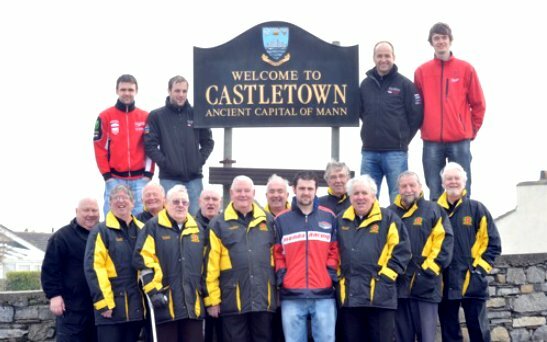 Official Fuel Partner Milwaukee Yamaha team-mates William Dunlop and Conor Cummins will be amongst other Southern 100 regulars who will be aiming to take the top step on the podium during this years races which take place on 8th, 9th, 10th & 11th July. 2012 Sidecar World Champion Tim Reeves made a winning Sidecar Southern 100 debut last year with Dan Sayle in the chair and will be on the grid again in July hoping to wrest the Sidecar Championship title away from current holders and fellow 2012 debutante winners Ben & Tom Birchall. As with the Solos, the Sidecars are attracting a high calibre of entries for ‘the friendly races’ which the Steam Packet Southern 100 International Road Races have become known over the years since the inaugural races were first run in 1955. Full details of the 2013 Steam Packet Southern 100 International Road Races can be found on the official website http://www.southern100.com and on Facebook: Southern 100 Motorcycle Races.